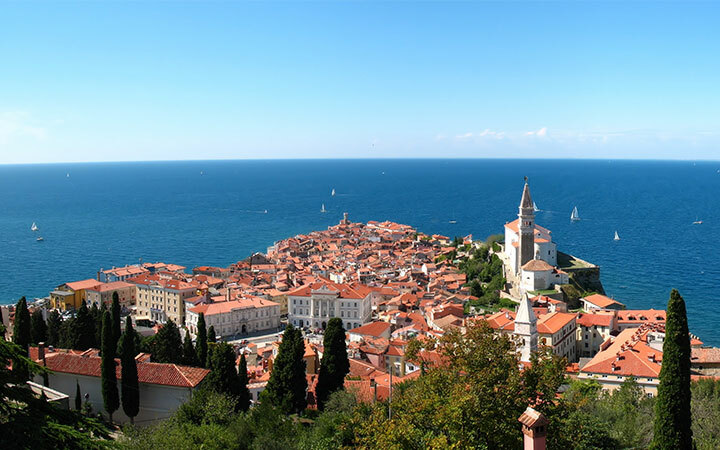 With excellent infrastructure, a well-educated work force, and a strategic location between the Balkans and Western Europe, Slovenia has one of the highest per capita GDPs in Central Europe. Slovenia became the first 2004 European Union entrant to adopt the Euro (on 1 January 2007) and has experienced one of the most stable political transitions in Central and Southeastern Europe. In March 2004, Slovenia became the first transition country to graduate from borrower status to donor partner at the World Bank. Slovenia became an OECD member in 2010. At home and abroad, Slovenian companies have celebrated numerous successful and highly innovative products. Slovenia has 38 companies on the Adria Top 100 List, the leading companies are: Petrol Group-Energy and Resources, Mercator Group-Consumer Business and Transportation, Petrol Slovenia-Energy and Resources, Gorenje Group-Domestic Electrical Equipment. Estimated 85% of individuals with at least a tertiary education have a paid job, compared with an estimated 35% for those without an upper secondary education. Young Slovenians, aged 15-24, however, are facing difficulties, with an unemployment rate of 20.6%, compared to the OECD average of 16.3%. The share of financial resources for education since 1998 has been around 6%. 84% of secondary school leavers go on to tertiary education. There are twice as many students in higher education as there were at the beginning of the nineties. 84% of adults aged 25-64 have earned the equivalent of a high-school degree, higher than the OECD average of 75%. 94% of 25-34 year-olds have earned the equivalent of a high-school degree, also higher than the OECD average of 82%. Slovenians can expect to go through 18.3 years of education between the ages of 5 and 39, more than the OECD average of 17.7 years. Regarding the knowledge of foreign languages, Slovenia is ranked among the top European countries. The most taught foreign languages are English, German, Italian, French and Spanish. Slovenia’s education ranks among the 20 best in the world, according to theProgramme for International Student Assessment (PISA). The University of Ljubljana and the University of Maribor are listed among the top universities by the Center of University Rankings 2014.